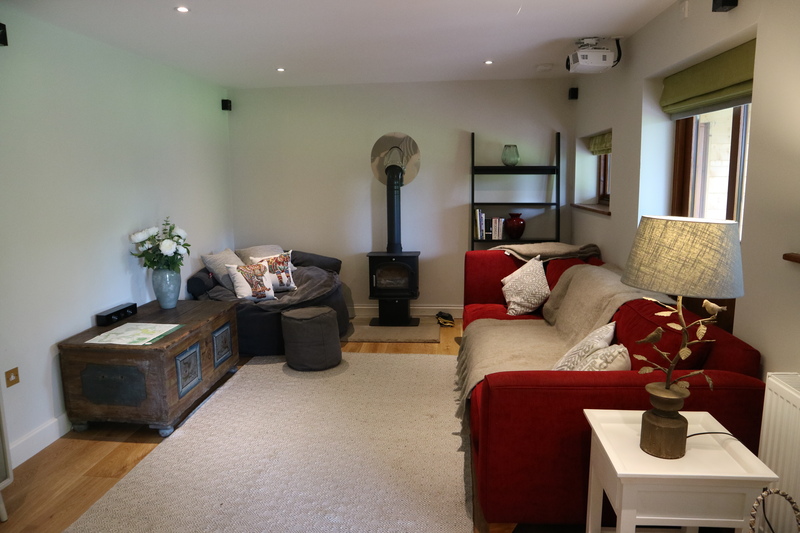 The Old Stables is a self contained two bedroom, detached annexe with direct access to the Ashdown Forest. The accommodation is self catering, with a small kitchenette with microwave, two pan hob, fridge and coffee machine. It has its own entrance with a private patio and outside seating. 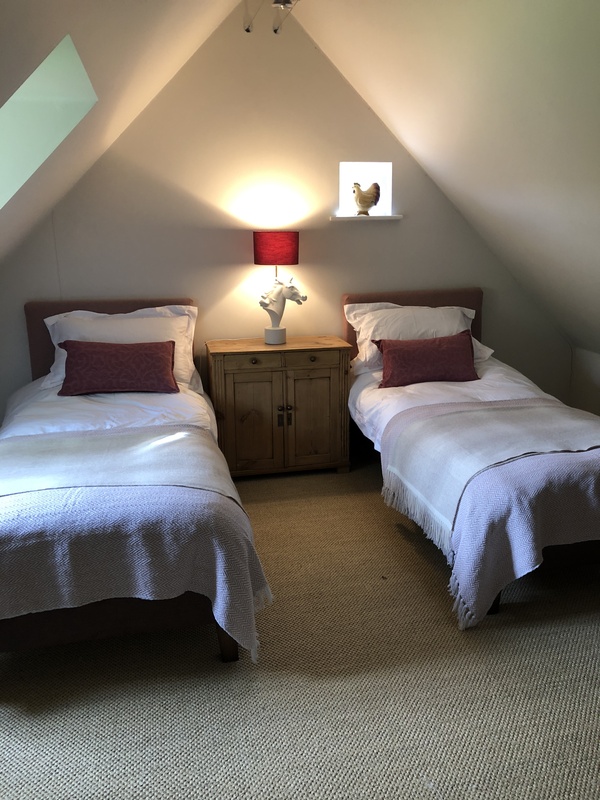 Please be aware that there is restricted ceiling height in the bedrooms as shown in the photos and the bathroom is located on the ground floor. We are also able to provide a floor mattress for an additional guest at an extra cost. If required we are also able to provide a welcome pack of essentials at an extra cost. 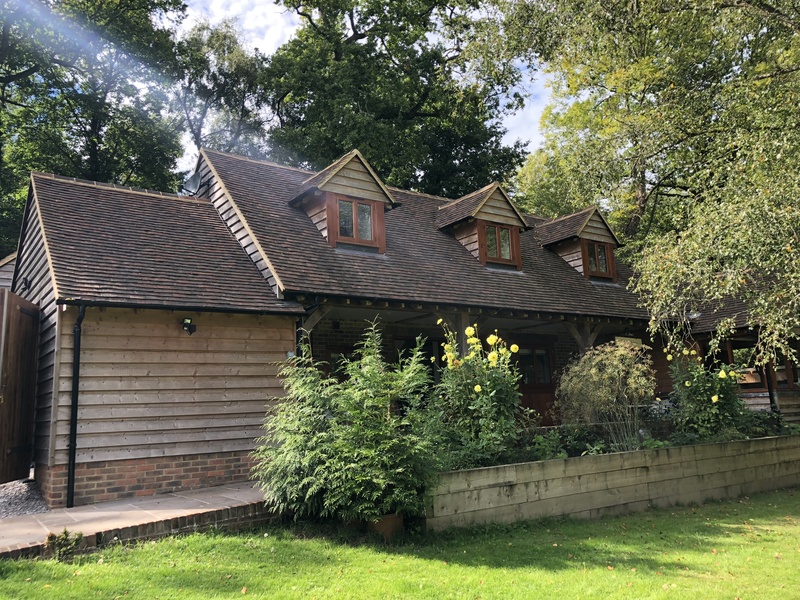 This is a perfect place to stay while discovering the Forest and all its walks,- including Pooh Sticks Bridge, Friends Clump and all the other locations in the Winnie the Pooh books. Dovecote Farm is a rural location and the mobile phone signal is very poor. However wifi calling and iMessage is available through the wireless which is generally OK.
We live at Dovecote Farm which is very close to the Old Stables. We will always respect the privacy of our guests during their stay, we are available to provide advice on the local area, recommend places to eat or places to visit.